HMV listening post is a mobile app that enables consumers to listen to music previews by simply taking a photo of a CD cover. This can be a physical CD in store or a printed image of the cover art, such as a poster, flyer or in HMV advertising. Mobile Acuity’s image recognition software is used within the app to allow music to be visually searched via the CD cover art and matched to the track samples. The consumer is then able to instantly preview and purchase the album in store or online. Increased consumer engagement with the brand and additional sales channel for HMV. Instant previews of a CD increase potential of HMV purchase both in store or online. HMV strengthens position as leading provider of physical and digital albums. Scalable solution supports ongoing expansion of music libraries. Music is visually searchable using Mobile Acuity’s image recognition software, which indexes the UK’s most popular 100,000 albums, updated on a weekly basis. Cloud Mobile Visual Search API easily integrated into 7digital’s Visual Music Discovery service and licensed as a white-label solution to their partners. Increase in digital music downloads has affected high street retailers and CD sales are in steady decline. In 2011 UK album sales were 86.2 million (-13% from 2010) vs. 26.6 million downloads (+24% from 2010). HMV has had to continually innovate in order to survive and add additional product lines beyond the traditional CD. Its product range now includes music, film, games and a range of digital technology devices, such as tablets and iPads. With shelf space at a premium, traditional listening posts have disappeared, surrendering to the consumer’s ability to sample and purchase online and impacting in-store impulse buys. Mobile Acuity, working with 7digital — the UK’s leading digital media delivery services company — identified an opportunity to use mobile visual search technology as a means of accessing music libraries via a mobile device, to sample and subsequently purchase CDs or digital downloads. The Mobile Acuity Cloud Mobile Visual Search API was integrated within 7digital’s existing API to develop a Visual Music Discovery (VMD) service for its partner network. 7digital worked with existing partner HMV to create the first licensed VMD application. 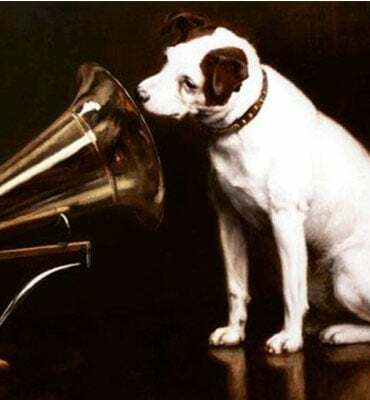 The ‘hmv listening post’ is a mobile app that directly accesses Mobile Acuity’s Cloud Mobile Visual Search API to enable consumers to listen to music previews by simply taking a photo of a CD cover. This can be a physical CD in store or a printed image of the cover art, such as a poster displayed in store or in HMV advertising. Within seconds, a search for the image is made against the database of the UK’s most popular 100,000 CD albums for a match. As soon as a match is made, the track list is visible and the consumer is able to listen to 90 seconds of each song before being able to purchase the album via hmv.com or hmvdigital.com. New CD releases are uploaded to the scalable database on a weekly basis, which ensures the very latest albums are instantly available to consumers however, and wherever, they wish to sample the music and make their purchase.